Bernard D. Gregor Smith, cellist of the Lindsay quartet. "I would like to say that Marie-Laure Boulanger is a pianist of great musicality and great ability with what I, and many others considers to be great potential. I think she would soon be considered a considerable assett in any musical performance. An interviewer or listener would very soon be entranced by her positive combination of her vivacious but intense personality." 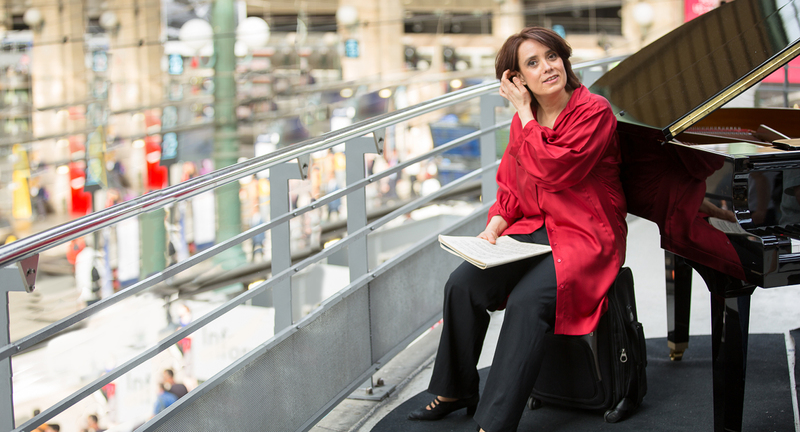 "Marie-Laure Boulanger is a wonderfully talented, highly perceptive and creative musician who possesses a superb pianistic command and a profound insight and intelligent in her approach to a wide range of repertoire". An instrumentalist of a remarkable quality today who has always refused to limit her repertoire, which according to me can only give an enriched vision of each work. "Marie-Laure Boulanger has worked under my supervision since 1984. After three years of serious study, she was admitted to Jean-Claude Pennetier's class at the National Superior Conservatory of Paris for Music and Dance. Her musical qualities have permitted her to play in your country (Canada) and I strongly encourage her to continue in this way." "I am happy to recommend Marie-Laure Boulanger to you. She has been in my piano class at the C.N.S.M.P. This is a young musician who possesses real qualities of sensibility and authority. She will progress wonderfully with her strong will and intelligence."